. As I read more, I realized that I had signed up for The Already Principle a few years ago. What does The Already Principle Mean? As I understand it, we have within us all the wisdom we need to make our way through life. A spiritual DNA, perhaps? If we dare to look deep within ourselves, we will find that we are already the person we want to be. Our journey through life is to allow that person to shine forth. Everything has already been made available for us to reach our spiritual goals. We already are provided with all we need to journey through life. And we have the Divine Guidance that will take us there. If only we allow ourselves to be led. How does this translate into my life? I’ve seen the evidence of The Already Principle at work when I diligently write my Morning Pages. Three pages of free flow, unedited writing. Through it flows wisdom and healing from deep within. Often, past hurtful experiences will come to the fore and as I keep writing, I see how they all fit into my life. Life lessons, if you will. I find answers to problem situations. I find more things to be grateful for. I become aware of areas I need to focus on. By doing the Morning Pages I feel more in touch with myself and assured of the Divine Presence guiding me through the day and through my life. I become more mindful of my intentions and thoughts through the day. The Morning Pages help me see The Already Principle at work in my life. Truly I have ENOUGH. Spend 15 minutes a day, for the next seven days, cultivating an even greater willingness to receive. One way life is loving me right now is…Don’t edit your responses. Just let them flow. Once you have written down at least ten responses, review your list and let it sink in how life is loving you right now. If you try it, let me know what comes up for you and how it helps you. Write a post sharing your thoughts on a subject of your choice. Make it as personal as possible. Use the hashtag #MondayMusings and link to Write Tribe. Add your link to the linky which you will find either here or on Write Tribe or on the post of a co-host. Every Monday, another blogger will be co-hosting with me. If you’d like to be that blogger, let me know either in the comments or by using the contact form. I’ll let you know the date and provide you with the code. Today’s linky can be found here below and my co-host is Ina of Ina Tales. Love your suggestion and advice, Corinne. Both right on the money! Lovely corinne , glad to read how beautifully everything has worked for u….thanks for reminding.. …still in process… yes divinely guided..
very inspirational Corinne! Something that I need to try! God has endowed me with all I need to serve Him and love others. He has already made me the person, He wants me to be. I just have to rest and live out the life He has created. I love that in my DNA I have what I need to connect to Him. Such a miracle. Thanks for reminding me of this beautiful truth by which to live. Vow!! This post comes exactly at the time when I feel the need of it. Thanks for sharing it and I am going to follow this religiously. Daily free writing is powerful. I don’t always do it now, but if I start to feel overwhelmed and my head is full, I make it a priority to do free writing at the beginning of the day. It helps me clear my mind and allows space for me to be guided. Years ago I wrote a memoir about living with spina bifida. It was an eye-opener. I learned so much about myself and others through that writing experience. It is so true that this writing exercise can teach you about yourself, help provide insight and solutions to problems, and help you grow. Thanks for the post. Take care. “You have already have everything you need…” It’s a powerful thought, Corinne, and one I really needed today. Thank you for sharing it! Never realized there was a Luise Hay site too. Guess I got to heal my thought process. Warning – the process of healing is hard work and never quite finished, Ira. Wishing you well on the journey. What a wonderfully inspiring post Corinne. 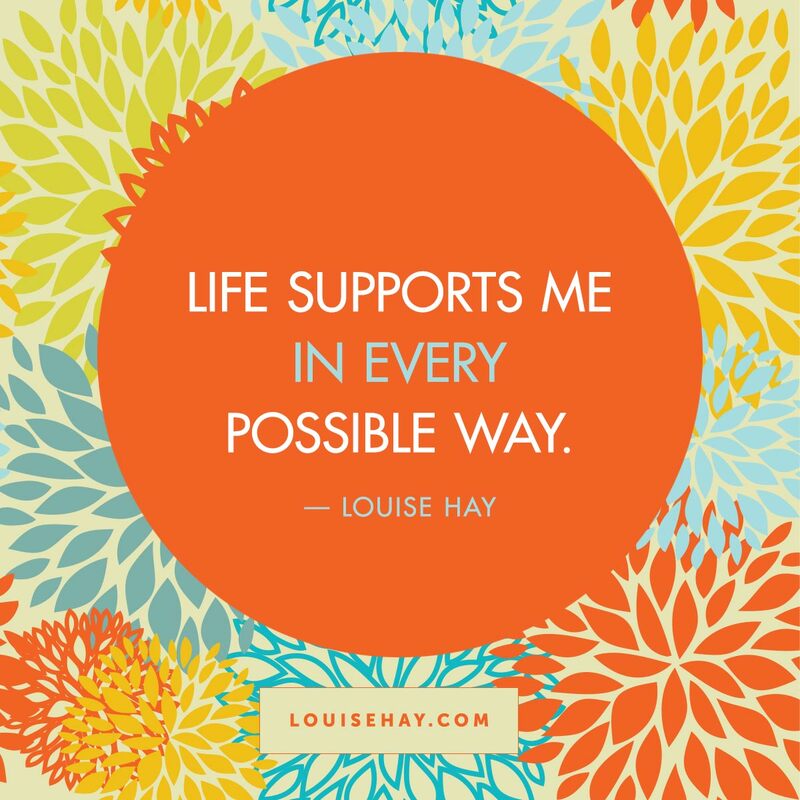 I’ve been a big fan of Julia Cameron and the morning pages for a long time and Louise Hay is absolutely brilliant. Monday Musings, writing in the morning always helps, Corinne. Thanks for sharing for such words always give us hope no matter how down we are.